See bottom of Schowe Home Page for information and instructions on the use of the translator. The earliest references to the village of Schowe go back as far as 1543, but for us Donauschwaben the history of Schowe has a very precise starting date: May 26, 1786. After the withdrawal of the Turks of the Ottoman Empire due to military defeats toward the end of the 17th century, the rulers of the Austro-Hungarian Empire wanted to repopulate the devastated and largely empty areas along the Southern border to provide stability and a buffer against the Turks. Settlers from mostly southern Germany were invited to seek opportunities and build new lives in these areas. The first wave of immigration occurred under Karl VI (1711-1740), another came under his daughter, Maria Theresia (1740-1780). The third wave of immigration came under emperor Joseph II (1780-1790) son of Maria Theresia. The Rheinland-Pfalz supplied most of a small group of 59 settlers and their families that made their way down the Danube in 1785. They spent the winter with fellow settlers in Torschau and on that 26th day of May, 1786, were shown their lots. 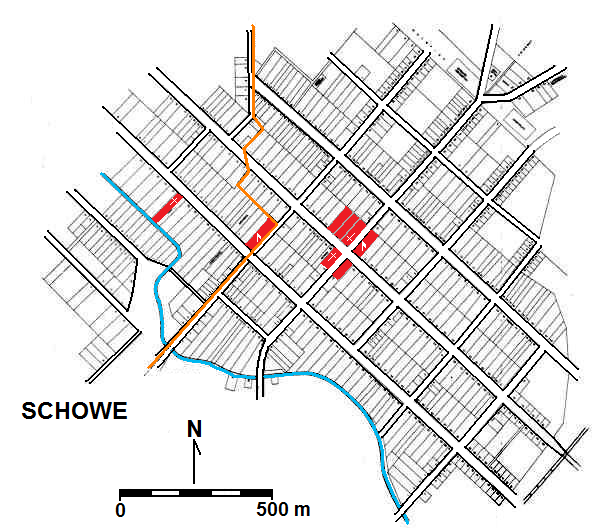 They had elected to build their new community adjacent to the existing village of Sove, they called it Schowe. For the next 158 years the Schoweer and their fellow Donauschwaben would make their newly-founded fields and villages into thriving and productive communities - indeed the bread-basket of central Europe. The map at right is from a larger map in the DVHH Maps section. 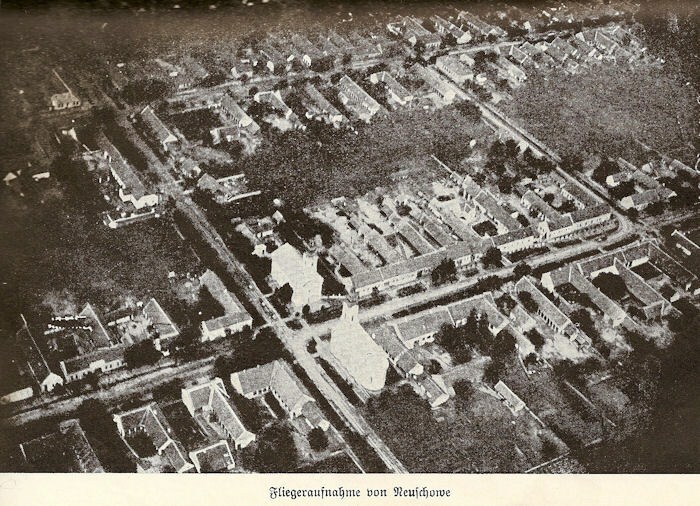 Below: Map of Schowe as of 1944/1945 - Adapted from Gedenkschrift - 200 Jahre Schowe (see the Books page). 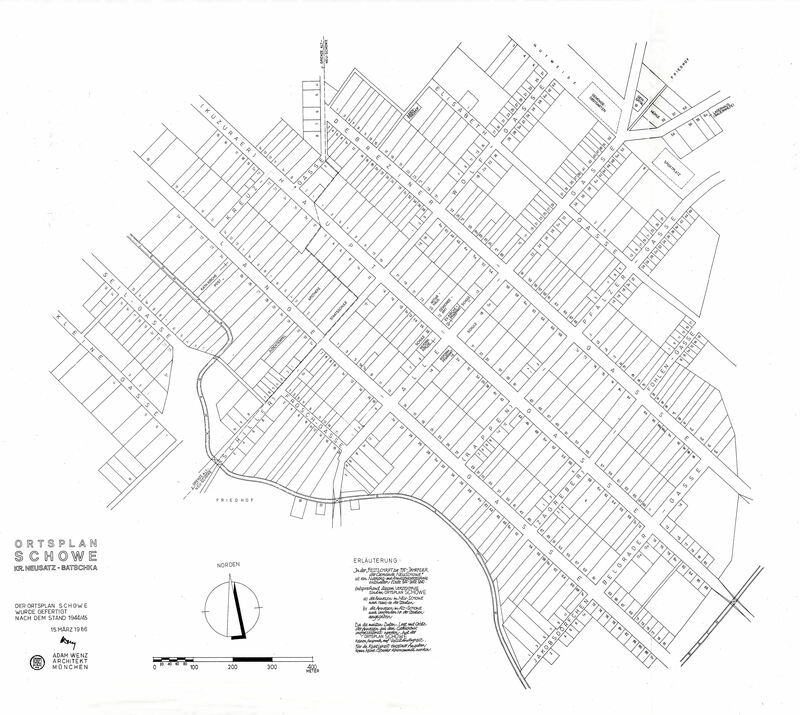 Below is a link to a full size map of Schowe. The map is from Gedenkschrift - 200 Jahre Schowe (see the Books page). 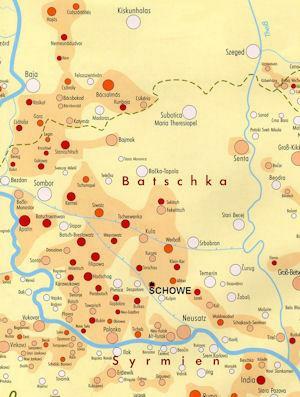 On the full size map the numbers on the lots correspond to the Schowe inhabitants list as given in the 1961 Heimatbuch. 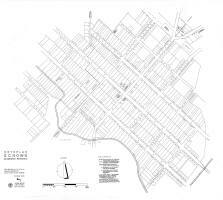 Click on small map image to see map. Then click on image to see it full size (note scroll bars for getting around). Stories and anecdotes - Click the title above to go to the page. © 2009 Ludwig Keck – except as noted.